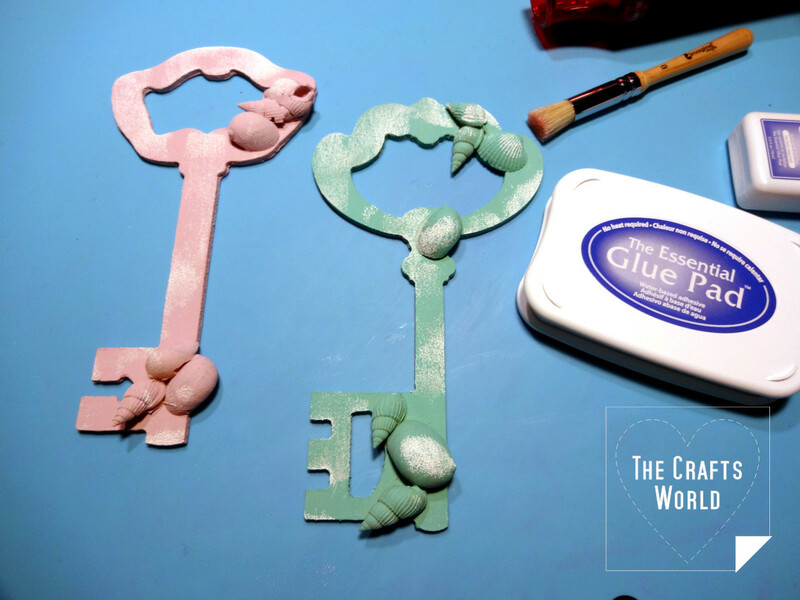 The large MDF keys make the ideal base to work with the chalky paints and make decorative keys to hang somewhere in the house or make them part of other decoration pieces. 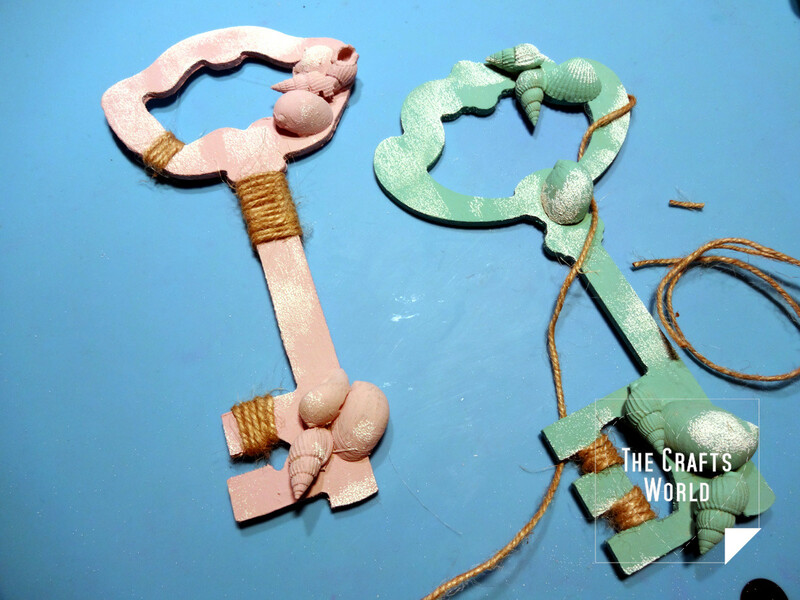 Create a vintage look with chalk based paints that offer great coverage on the both the wooden keys and the shells used. 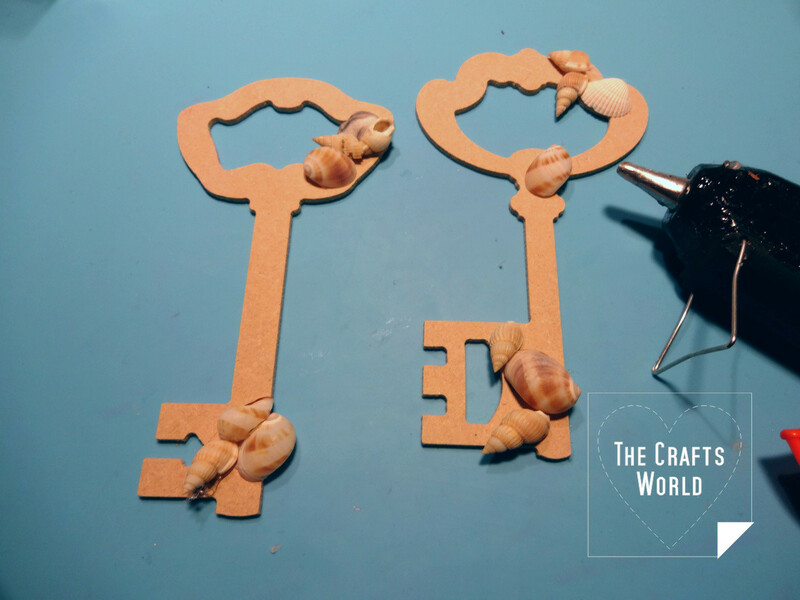 Glue the seashells on the MDF keys with the hot glue gun. 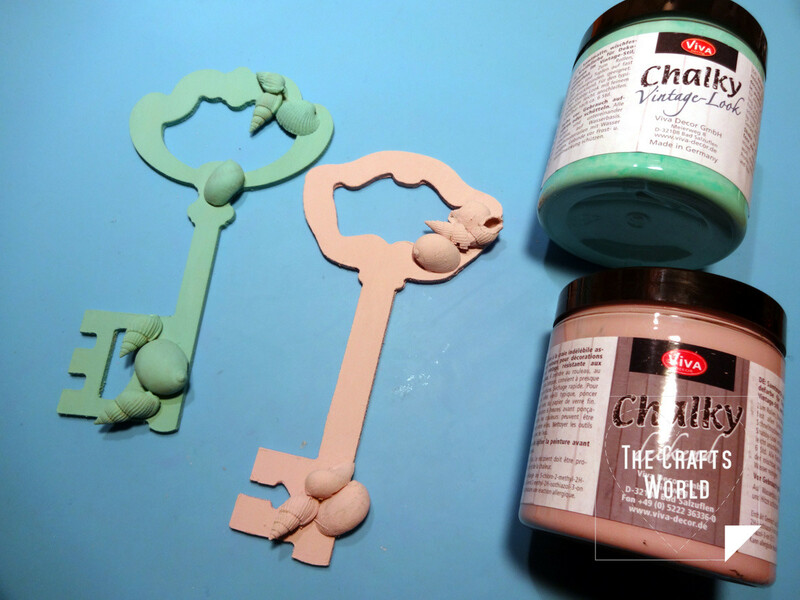 Cover the keys and the seashells with the Viva Decor chalky paints. Using a stencil brush, make light strokes of glue from the Glue pad. Cover with embossing powder and heat set. 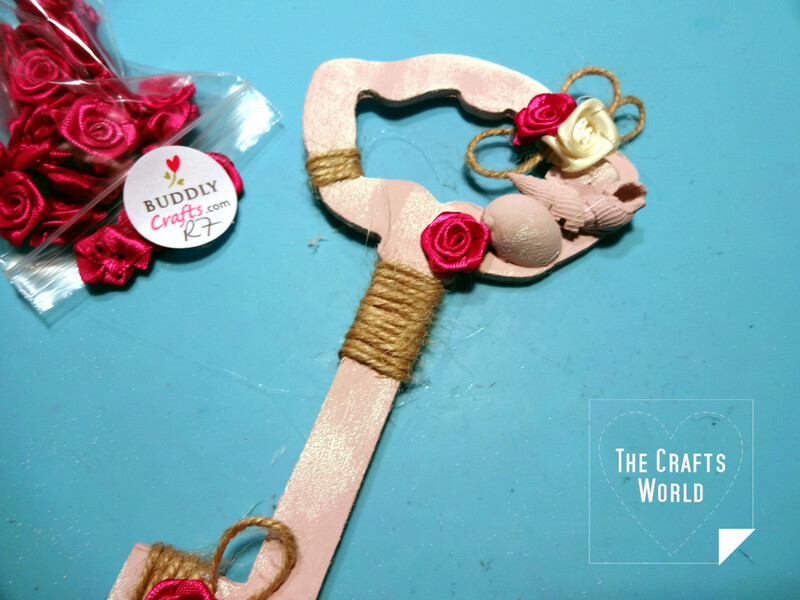 Wrap the jute twine in various places of the keys. 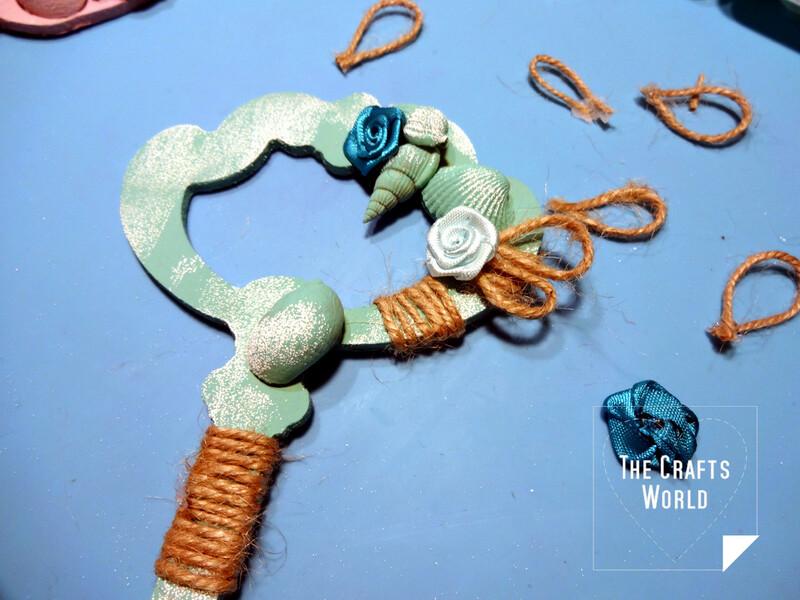 Make loops by cutting 3-4cm long pieces of the jute twine. 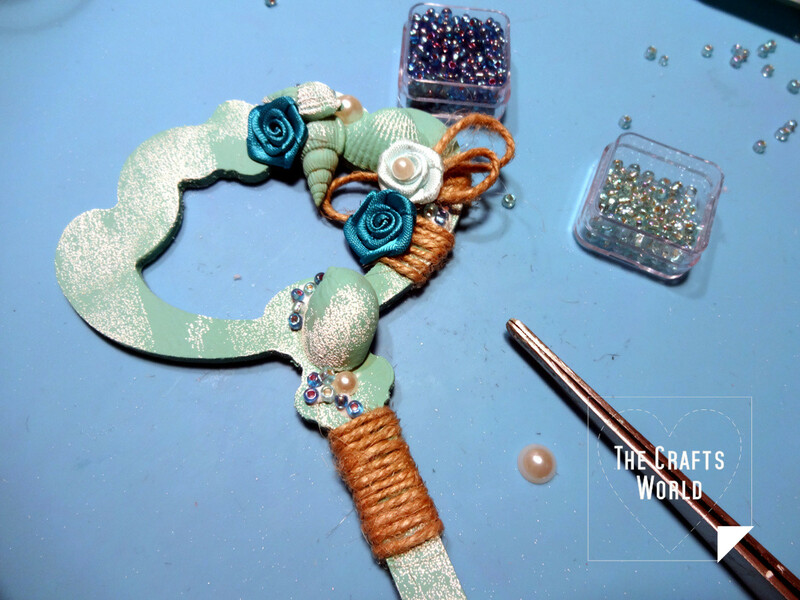 Glue the twine loops and the ribbon flowers close to the seashells. 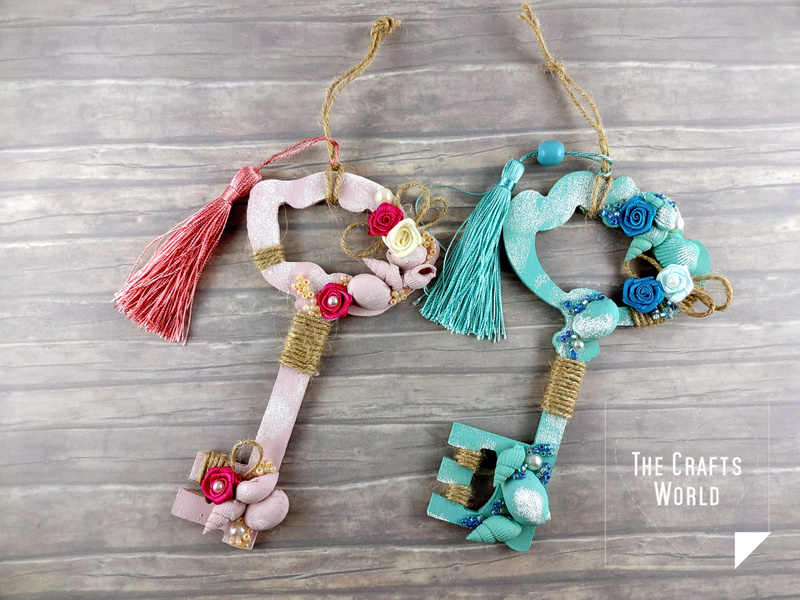 Repeat the embellishment on the second key, using matching colours. 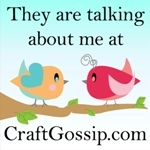 Add tassels and some twine to hang them.